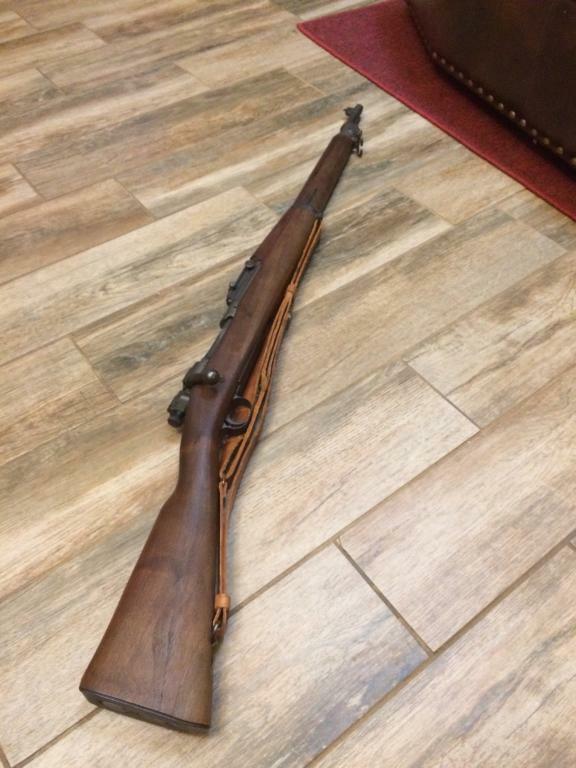 Stumbled across this M1903A3 in Dallas last week. Thread: Stumbled across this M1903A3 in Dallas last week. This was hidden on a rack with other misc rifles. It's been wiped down, but still has cosmoline in nooks and crannies. Well, I just realized the proof stamp on the stock didn't get uploaded and I can't figure out how to add it. But, it only had one circled "P" stamp. Last edited by LDub; 08-19-2018 at 08:27 PM. It went through the Ogden Arsenal rebuild and seems to have retained its original blued parts. They didn't parkerize the whole thing! I think it was simply inventoried at Ogden. "Rick the Librarian " says that while they did rebuilds at Ogden they also inspected and inventoried unissued guns. The Ogden stamp isn't boxed or similar to the rebuild stamps found on the M1903.com website. If you don't mind what did you have to give for it? I have one just like it including the OG stamp. That’s a nice one......here is my 03 I picked up in April at a local farm consignment auction. Follow WW1 week by week on Youtube.